This week’s PLENK2010 topic is an exploration of what Steve Wheeler has called Web 3.0, Stephen Downes has christened Web X, George Siemens calls xWeb and Rita Kop calls the eXtended Web. I prefer Sir Tim Berners-Lee’s name of the Data Web introduced in this TED talk and discussed here (Pivot My Data) back in March. Out of interest, I present the Wordles of, clockwise from top left, Berners-Lee’s TED talk, Siemens’ xWeb, Kop’s eXtended web and Wheeler’s Web 3.0 presentation. I’m not sure you can make any serious points about such visualizations but it is sort of interesting. It is clear that Sir Tim’s message was chiefly concerned with data and to some extent people. George’s discussion concentrates on the web, data and his new buzz-word xWeb as well as people. Rita’s take is clearly more about learning and accessibility and Steve’s slides mention Web an awful lot. But in reality, my main reason for blogging these is that they look nice. At the end of the Beatles’ seminal Sergeant Pepper album is the track “A Day in the Life.” Those who’ve heard it will know that right at the end of the track, and therefore the album, is the climax in which an orchestra works itself up into a frenzy of noise before a single piano chord brings the whole thing to an end. PLENK2010 has been like being in that orchestra this week. An awful lot of sound and fury (signifying nothing?). I’m prepared to believe that learning could be an emergent property of a MOOC, but I for one am glad to hear the closing chord. We’re promised fun with the neXT/eXtended web next week. Let’s hope it is. Earlier today, over in PLENK2010, Eduardo Peirano started a discussion Personal Learning and the […] Seven Principles of Good Practice in which he linked to a paper by Chickering and Gamson (1987) with the suggestion that the seven principles might be used to evaluate Personal Learning and the whole MOOC experiment. On reading these principles and the short explanation, I was struck not by the idea of using the seven principles to evaluate some modern practice, per se, rather, by the realization that the principles are a long way from being even partially embedded in higher education at all! I am sad to say that it leaves me somewhat depressed as it’s my observation that we are still failing to deliver on this good practice nearly twenty years later (and I count myself amongst the guilty). A big problem, it seems to me, is that sound pedagogy is a very poor relation to the need to publish in HE, and though I’m late career and feel that I’m not in that rat race anymore, I still have so much to learn about how to teach. I’m starting to feel that I should stop worrying about management systems and the personal environments and learn some fundamentals about how to encourage the Learning. 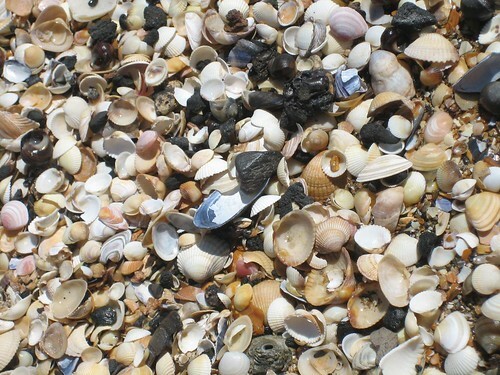 I feel like a kid on a beach entranced by the pretty shells and oblivious to the ocean. In my own case, I think that I should be worrying less about the technology of Personal Learning Environments, Networks and Knowledge technology and learning more about the educational theory that lies behind it. Arthur W. Chickering and Zelda F. Gamson, Seven Principles for Good Practice in Undergraduate Education, American Association for Higher Education Bulletin, March 1987. Republished with permission by the Faculty Development Committee of the University of Hawaii, Honolulu. I’ve just finished reading Martin Weller’s paper The Decentralition Dillema in Education IT (one of the PLENK2010 week 2 readings) and I thought I’d use audioBoo.fm to say a few words about what we have at Swansea. Martin will be a guest presenter at the Wednesday Elluminate session later today and it will be interesting to see what he has to say and how the course facilitators and course members respond. … and that’s a problem because it makes RSS feed aggregation harder than it should be. On creating a new Yahoo Pipe for #PLENK2010, I’ve discovered that, because of URL shortening services, this is no longer true and can cause issues with aggregating and curating resources on the web. My new pipe is quite simple: I thought “wouldn’t it be a good idea to the RSS feed the from social bookmarking sites delicious.com and diigo.com of all the items that are taggedplenk2010 and create a combined RSS feed from them.” Seems a simple enough idea and Yahoo Pipes is the ideal tool with which to set this up. It’s quite simple. It takes the RSS feeds for delicious bookmarks tagged plenk2010 (http://feeds.delicious.com/v2/rss/tag/plenk2010) and diigo bookmarks tagged plenk2010 (http://www.diigo.com/rss/tag/plenk2010) and combines them in the union block. Now some people will be tagging in delicious.com, and others will be tagging in diigo.com, and some, like me, will be tagging in diigo.com, but will have set up their account to cross-post to delicious.com. With the possibility of people posting the same link in multiple places, we want to ensure that we avoid duplication, so we include the Unique block which filters the combined RSS feed to choose only those items that are unique in their link (that is their URL). The result is displayed as a list, which you can see by following this link. 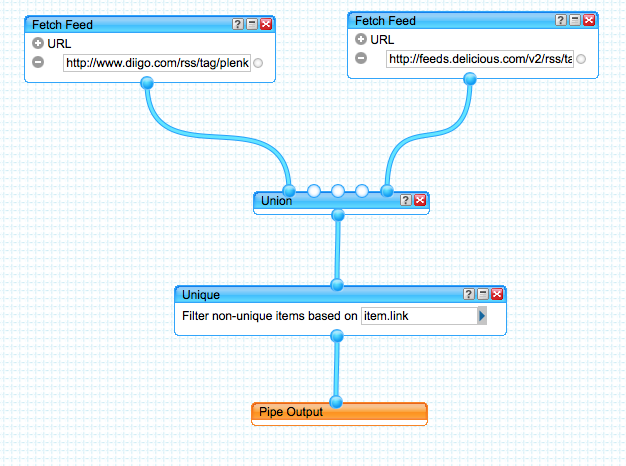 You’ll note that Yahoo provides the output of this Pipe as an RSS feed, JSON3, a My Yahoo widget, iGoogle gadget, etc. 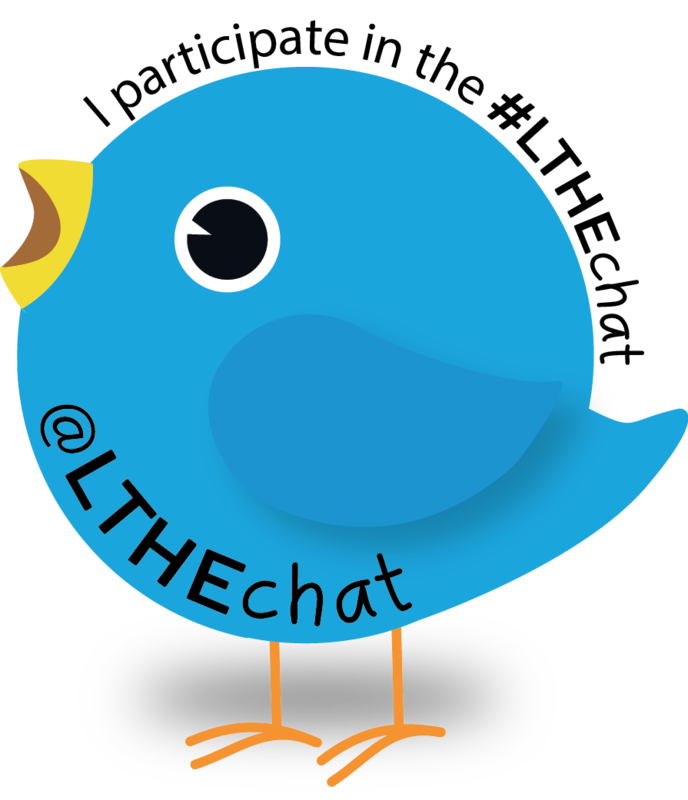 It can even be obtained as a “badge” that can be embedded in a blog or VLE. Very useful, I’m sure you’ll agree. But there’s a problem. If you look closely at the data, you will notice that there appears to be duplication. The same bookmark appears several times even though I’ve used the unique filter. What goes on? If you look at the links, the answer quickly becomes obvious. It is because the person who bookmarked the resource explicitly or implicitly used a bookmark shortening service such as bit.ly, tinyurl.com, or even the bookmark shortening services of the bookmark services themselves. Thus, one of the principle value propositions of social bookmarking, the identification and enumeration of resources that have been useful to many people, is being violated. And what’s worse, it makes my pipe less useful than it could be to me and my fellow #PLENK2010 students. Perhaps social bookmarking services and other link aggregation services need to de-reference shortened URL’s to avoid degradation of the uniqueness of the URL. 1URL (Uniform Resource Location) is is a URI (uniform resource identifier) that, “in addition to identifying a resource, provides a means of locating the resource by describing its primary access mechanism (e.g., its network location)”. 2 This has never been strictly true, for example Content Distribution Networks, web caches, etc can make it seem that the same URL points to many different locations. The first week of #PLENK2010 is nearly over. Just one Elluminate discussion to go (16.00 Zulu, 17.00 BST). This is my first Massive Open Online Course (MOOC) (it’s actually my first experience of any form of formal learning for quite some time) but despite all the dire warnings about information overload issued at the start, I actually think I’ve settled in quite nicely. I have read all the readings (and made notes! ), read the interesting blog postings that have been published in The Daily, posted comments on a few of them, lurked in the forum and contributed here and there, shared bookmarks with the plenk2010 bookmark group on Diigo, and even contributed a couple of aggregation tools (see earlier posts this week). So, I think I am on top at the moment (though I must confess to being too scared to look at Tweetdeck for the #PLENK2010 hashtag). personal networks are the sum of all social capital and connections that result in the development and facilitation of a personal learning environment. I haven’t yet drawn my PLE – an activity that seems to be a rite of passage for this course – but if I did, it would look a lot like Joyce Seitzinger’s (@catspyjamasnz) excellent image that is available to view on Flickr. Another interesting idea was expressed in Dawley (2009), a paper introduced in a discussion on PLE Competencies . She describes levels of engagement in social networks on a scale that goes from network discovery through to leadership via lurking, contributing, and creating. I like to think that I’ve stopped lurking and started contributing and creating. We’ll see if I can reach a leading role. Next week, we move on to comparing PLEs with VLEs! The new academic year starts for me on 27th September, and as I’ll have less time then, at least during the day, I will probably find that my participation drops off. But I hope not, because I think I’ve got a lot to learn and contribute. Alec Couros, 2010. “Developing Personal Learning Networks for Open and Social Learning” in G. Veletsianos (Ed. ), Emerging Technologies in Distance Learning, AU press, 2010. Available on-line. Lisa Dawley, 2009. “Social network knowledge construction: emerging virtual world pedagogy”, On the Horizon, Vol. 17. No. 2. pp 109-121. Available on-line. At Tony Hirst’s suggestion (see comments to previous post), I followed Alan Levine’s instructions and created a custom google search engine derived from Stephen Downes ‘feed of feeds’ OPML file. It took a couple of attempts as it’s not clear on the Google Custom Search Engine creation page just what you have to do, and the order you have to do it, but with Alan’s post and a bit of perseverance I worked it out. A word of caution, the search engine is based on the 133 blog feeds that, at the time of writing, Stephen had collected in the PLENK gRSS-hopper (which includes the twitter stream). It doesn’t restrict search to #PLENK2010 posts. To do that, include the term #plenk2010 in the search. @mhawksey added Google Instant magic using the techniques described in How to Google Instant(ise) a Custom Search Engine (CSE). See improved PLENK2010 Google Custom Instant Search. Nice!